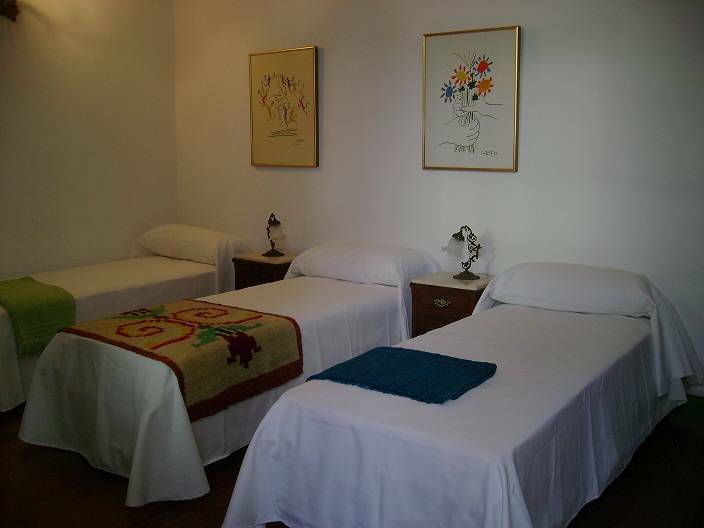 Bed & Breakfast in La Plata city, Buenos Aires, Argentine. Comment Phone number on the webpage ... I want to call someone in the Hotel but I can not find any Phone number on the webpage. Our Bed and Breakfast is located in the center of La Plata city, near from the most important attractions (just 50 meters from the Curutchet House, the Natural Science Museum, MACLA – Latin American Contemporary Museum of Art-, the Cathedral, the Argentinian Theatre, and the “Paseo del Bosque”, where there is an Observatory and a Zoo; between others). 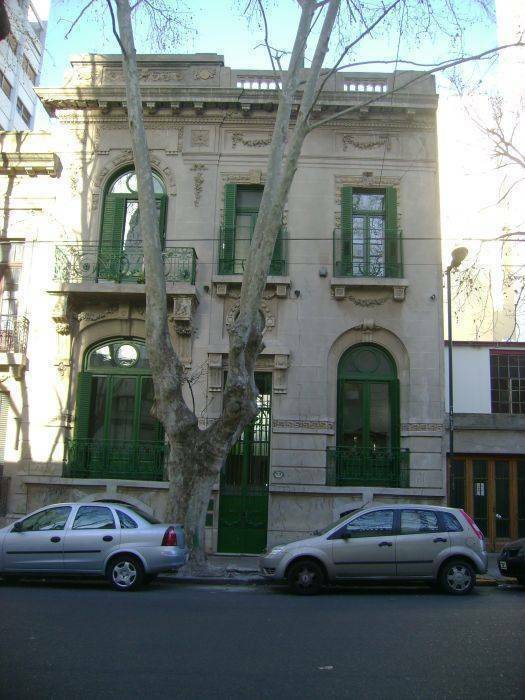 The residence was declared of municipal interest as Architectural Patrimony. 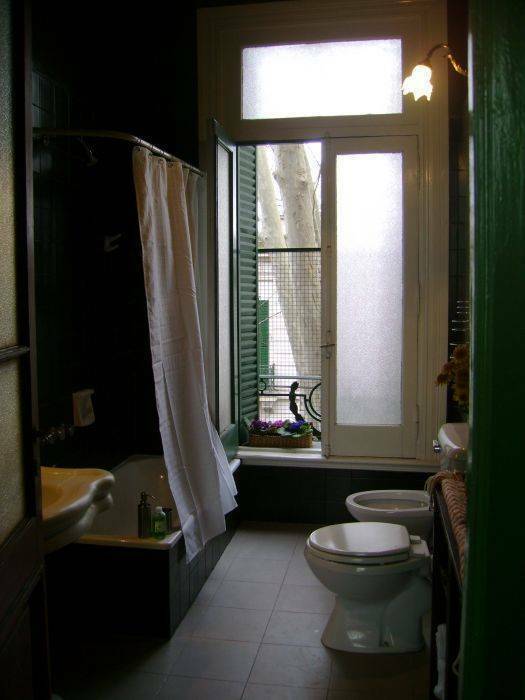 On the first floor, there are three rooms, a rest room and a bathroom. On the ground floor, it takes place the reception with internet (WI-FI connection), TV, DVD player, and a dining room. 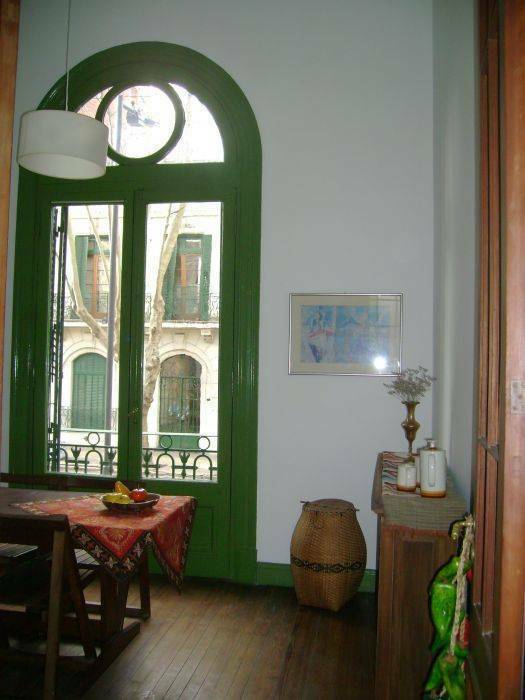 The infrastructure also provides of two rooms proposed to develop different cultural and artistic activities, as conferences, courses, workshops, tango classes, exhibitions. Being a city which was thought as the Capital City of Buenos Aires Province from the very beginning, La Plata was designed before its foundation. Located in the region of the "Pampa Húmeda", only 55 kilometers away from Buenos Aires City to the Southeast, you can get to it through Buenos Aires-La Plata Highway. 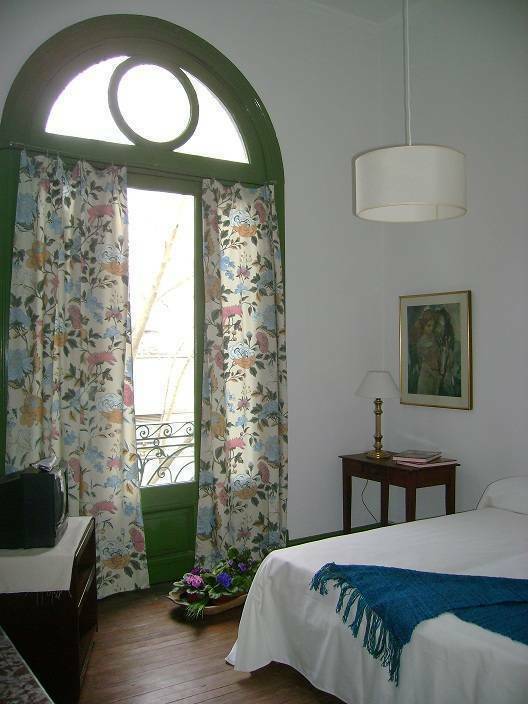 La Plata is a city with history and tradition but having a European style. Through its layout and design (which geometrical perfection has been praised by the most well known city planners of the world), passing by the magnificent public buildings and the many green areas, La Plata stands as an example of well-planned Metropolis. Known as the "City of Diagonals", the climate in this region is mild with an annual average temperature of 17 ºC with abundant humidity since it is a few kilometers away from River Plate. You can also get to La Plata by train departing from Constitucion Railway Station or by car through Nº36 National Route or Nº11 Provincial Route. As you go along the avenues, diagonals or streets, you will find a public square every seven blocks which act as green lungs for the city and as recreation places. It is very important to highlight the diffrent architectural styles of the government buildings, especially the City Hall Building which has a German Renaisance style from 1886, the Government House and the Provincial Legislature Building. Among the many touristic attractions of La Plata, the ones which outstand are the Cathedral -opposite Moreno Square- with a New Gothic style and its 37 French and German vitreaux; the very well known Natural Sciences Museum which is considered the fifth in importance in the whole world and the beautiful and picturesque "Ciudad de los Niños" (Children's City) which is the biggest undertaking for children in South America. If you wish to be in contact with nature, you can visit Pereyra Iraola Park which has a surface of 600 hectares, the "Paseo del Bosque" (Wood Ride) where there is an Observatory and a Zoo. A few kilometers away from the city center, you can enjoy Punta Lara beaches where you can enjoy the practice of jet skiing, windsurfing, sailing or spend a beautiful country day in one of the farms that offer agrotourism services. La Plata offers a busy night life. You can go to the New Argentinian Theatre, Coliseo Podestá Theatre or Islas Malvinas Cultural Center. 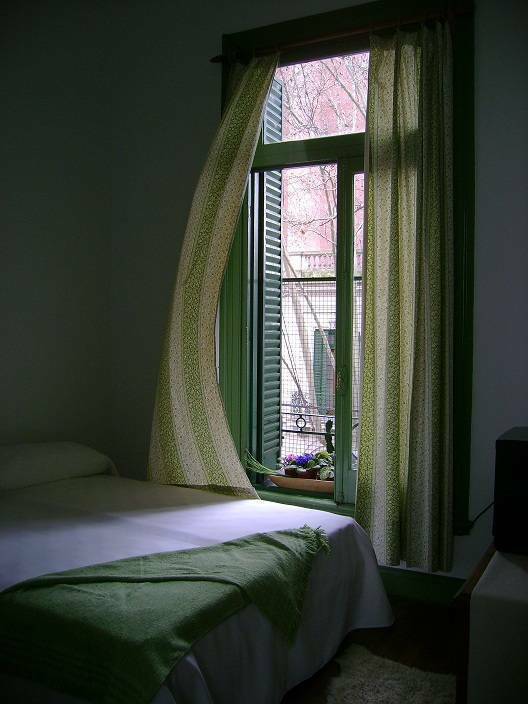 Bed & Breakfast is located near of Paseo del Bosque (Wood ride) and the Curutchet House, created by Le Corbusier. From Buenos Aires Capital, Costera Criolla bus. By car, the Buenos Aires-La Plata highway. Nearest airport: At 50 km, Ezeiza International Airport.